On April 17th, 1500 Palestinian prisoners launched the largest collective hunger strike in years under the banner of freedom and dignity. Since then, supporters of Palestine have been organizing events and protests around the world to strengthen and deepen solidarity around the hunger strike. AWID interviewed Palestinian feminist activists to learn more about what the hunger strike means to them and what they want feminists around the world to know about the strike. Read their answers below. There are currently 61 women and girls and 300 children in Israeli prisons. While men are often perceived as the sole leaders of the prisoners’ movement, Palestinian women political prisoners have also historically put their lives on the line and launched hunger strikes. Men are often received as heroes upon release, while women political prisoners, such as Lina Al-Jarbouny, face major difficulties in healing and reintegrating into society. As in many parts of the globe, the prison system in Israel is also profit-driven. G4S, the largest security company in the world, is part of that system and complicit with the violation of Palestinian prisoner rights. 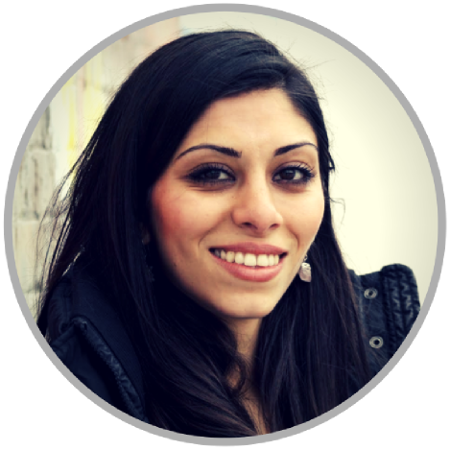 Ghadeer Malek is a writer, spoken word poet, social researcher, policy professional, and arts-based educator. 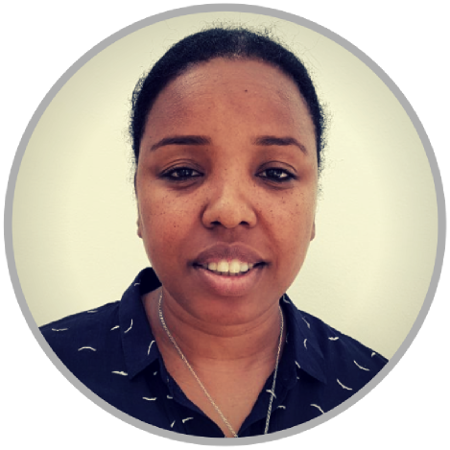 She has worked in the not-for-profit and public sectors managing programs for youth engagement and community development on sociopolitical and economic issues related to migration and war with expertise in the Middle East and North Africa region. Ghadeer is co-author of Min Fami: Arab feminist reflections on identity, space, and resistance and recently completed a Masters degree in Adult Education and Community Development at the Ontario Institute for Studies in Education (OISE), University of Toronto. When over 1500 Palestinian prisoners in Israeli prisons declared a hunger strike on April 17th, I became curious about how the world would take note, if at all. Palestinians know, that at the base of the Israeli occupation and colonization of Palestine, since Israel’s inception as a state in 1948, is a PR campaign that conceals Israel as a colonial project of imperialism. And so I was curious as to whether the hunger strike would be brought to the world’s attention and if so, what influence it would have. This is not the first time that Palestinian political prisoners of Israel have staged a mass hunger strike. Aljazeera’s timeline provides a good overview of mass Palestinian hunger strikes since 1967. And yet, so far, the current hunger strike led by Marwan Barghouti, a political prisoner of Israel for over 15 years, has been given international and western media coverage starting with the New York Times publishing the hunger strikers’ demands written by Barghouti himself. Dubbed the largest mass hunger strike in Palestinian history, it may have been the cumulative effective of Palestinian ongoing resilience and organizing on the ground that had influence on mainstream media coverage of Palestinian struggle. This includes the influence of Boycott, Divestment and Sanctions campaign led by Palestinian civil society; or the recent UN report by Rima Khalaf who resigned her post as UN Undersecretary General and ESCWA Executive Secretary after being asked to withdraw her report revealing Israel as an Apartheid State. As Palestinian hunger strikers are demanding world attention, to me, as a Palestinian in the diaspora, an activist, writer, and educator, I believe that the hunger strike is a call to action, and a call for solidarity. It is important for us, the critical voices on the outskirts, to similarly, put our lives and voices on the line, and echo their demands within the larger context of colonization and imperialism. Solidarity is about taking risks, each of us, in our own ways, towards our own liberation for the liberation of humanity as a whole. I would like feminists to know about the solidarity campaigns that are being joined across the world. For example, #saltwater challenge gone viral. In Italy, parliamentarians are joining the #saltwater challenge, in Ireland, Dublin raised the Palestinian flag over their City Hall, and in South Africa, people are joining the hunger strike, the Archbishop of Palestine is also joining the hunger strike. Sama Aweidah is the General Director of Women’s Studies Centre (WSC). She is also a researcher and writer and has published 11 children’s books to raise the children’s awareness about gender issues. The hunger strike for me is a very difficult battle that the victim and his/her family are forced to go through so as to live in dignity. It is very painful, but sometimes is the only way to let the international community be aware of what is going on. By supporting the Palestinian prisoners, you are supporting peace and dignity all over the world. Yafa Jarrar is a Palestinian born in Jerusalem and raised in Ramallah, Palestine. She has been involved with the Boycott, Divestment, and Sanctions (BDS) movement in Palestine and internationally since 2005. Yafa is a J.D. candidate at the University of Ottawa, Faculty of Law. She currently lives in Ottawa, Algonquin Territory. The “Dignity” open hunger strike is a practical resistance strategy, a dignified act of defiance, and a form resilience. Historically, collective hunger strikes have proven to be matured, calculated, and successful tactics committed by political prisoners to attain basic rights and demands. It is important for us to realize that for political prisoners to decide to enter a hunger strike is never arbitrary. For Palestinian political prisoners to put their bodies and lives on the line means that their living situation behind Israeli Apartheid prison bars are dire. The Israeli Apartheid state is a trademark for maintaining some of the most oppressive prisons and detention centers for the sole purpose of suppressing Palestinian people. Entering the hunger strike means that this is the only strategy left. It means that Palestinian political prisoners will not sit idle as their most basic of rights continue to be quashed by the Israeli prison apparatus. With a colonial Apartheid Israeli state on the one end, and a failed incompetent Palestinian Authority on the other, Palestinian political prisoners have been grossly neglected. Indicative by the strike’s name, the demands behind this hunger strike are basic. They include: end to the denials of family visits, access to proper healthcare and medical treatment, the right to pursue distance higher education, and end to solitary confinement and administrative detention, indefinite imprisonment without charge or trial. Until this 40th day since the beginning of the open hunger strike, Israeli prison administrations have not indicated any desire to provide any of these basic rights. This hunger strike means that Palestinian political prisoners are hungry for dignity, freedom, and for their liberty. The Apartheid state of Israel will not voluntarily hand them their dignity or liberation, so they chose to pursue these rights through their empty stomachs. Supporting them in this strike is a moral duty upon all free people of conscious. The Israeli Apartheid state and its actions against the Palestinian people, particularity in Israeli prisons, are by nature anti-feminist. There is nothing feminist about incarcerating over 6300 political prisoners, 300 of whom are children, 61 women, and over 500 under administrative detention without charge or trial. Physical and physiological torture, sexual violence, the use of prisoners’ bodies and sexuality, amongst many others, are well documented methods that Israel uses against Palestinian political prisoners. Taking action in supporting Palestinian prisoners in this collective hunger strike is to also stand against the continuous oppression prisoners have been, and continue to be, subjected to everyday. Supporting the Palestinian prisoners open hunger strike and its demands is a feminist act. Sahar Francis is a Human Rights lawyer working with Addameer Prisoner Support and Human Rights association since 1998, first as a senior lawyer and the legal unit director and since 2006, director of the organization. Palestinian political prisoners use the hunger strike as the last resort in their struggle against the violations they face in Israeli prisons. Historically, it was the most effective tool they used to guarantee basic rights and to improve their daily life conditions. They are willing to endanger their lives for their dignity. This reflects how much they suffer under the Israeli prison system, because they are subjected to daily collective punishments, such as solitary confinement, bans on lawyer and family visits, fines and other. Feminists and other activists and supporters all over should know that the Palestinian prisoners, including women prisoners, child prisoners, are facing a very discriminating legal system under the military courts, and living under harsh conditions in Israeli prisons. This is why they chose a hunger strike. They need all the support we can offer, to save them from torture and ill treatment, and give them hope for better future for freedom and dignity. Khalida Jarrar is an ex-political prisoner, a feminist and human rights activist. She is an elected member of the Palestinian Legislative Council (PLC), the Chairwoman of the PLC’s Prisoners’ Committee and a member of the PLO’s Central Council. Jarrar is also a member of the Palestinian National Committee for the International Criminal Court and a Palestinian Representative on the Council of Europe. 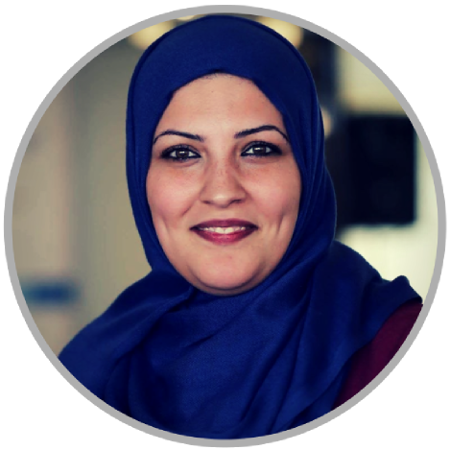 She is the head of the Council of the Union of Palestinian Women’s Committees and Vice-President of the Board of Directors of Addameer Prisoners’ Support and Human Rights Association. 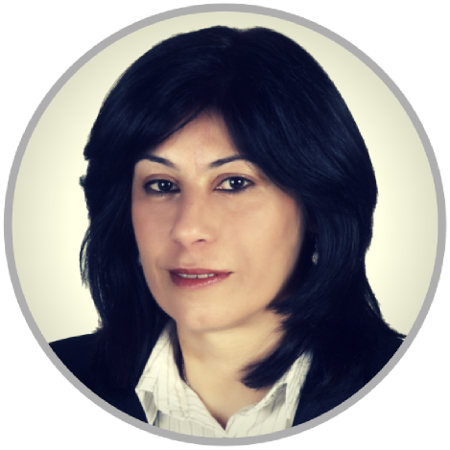 Jarrar was born and raised in Nablus, Palestine and obtained her Masters of Arts degree in Democracy and Human Rights from Birzeit University. Palestinian political prisoners, who live under inhumane conditions in Israeli prisons, launched this strike for their freedom and dignity. The hunger strike speaks to the brutal conditions of Palestinian political prisoners. Hundreds of these political prisoners have been deprived of family visits. As a form of collective punishment, some prisoners have been allowed family visits only once a month instead of twice a month. “Al-Ramla” hospital, which is the only hospital available for all political prisoners, is unequipped and unsuitable for prisoners who suffer from chronic illness such as cancer, heart disease, or diabetes. There are hundreds of prisoners arbitrarily imprisoned under “Administrative Detention” for years without charge or trial. Prisoners are frequently transferred to and from courts in an arduous transfer vehicle called “bosta”. The trips in the bosta are lengthily and prisoners sometimes remain handcuffed for over 12 hours while sitting in a cold, all metal vehicle without access to any facilities. These are just some of the conditions that prisoners live under in Israeli jails. They are now attempting to reclaim their rights and dignity using their empty stomachs. There are over 6000 Palestinian prisoners incarcerated in Israeli jails and their rights are violated on a daily basis. These prisoners are using their hunger as a peaceful way to resist and to improve their conditions. As prisoners enter their 29th day of hunger strike at the time of writing, there are thousands of concerned mothers, wives, and siblings who worry about their loved ones in Israeli prison cells. These prisoners need solidarity and support from everyone who believes in freedom, dignity, and justice. Sana Salama Daka is the wife of prisoner Walid Daka, who has has been imprisoned for 31 years. We have led a legal struggle for 12 years for the right to conjugal visits, and to bring a child into the world, yet we were refused. Walid and I are citizens of Israel. We were not granted this right, but the murderer* of the Prime Minister was! The current hunger strike, along with the hunger strikes declared throughout the history of the prisoners’ movement, is the only silent and life-threatening means by which the prisoners chose to protest against imprisonment conditions, among the harshest in the world. The right to family visits and communication is taken away from most of the prisoners. The denial of any outside connections, especially by telephone, is the most important demand of the current hunger strike, along many other demands related to everyday life in prison. One should know that everything Palestinian political prisoners have today, was won by the hunger strikes of the prisoners’ movement. These are basic things like a bed, books, newspapers, radio, ending humiliating treatment, etc… therefore for me this strike is the direct continuation of the persistent Palestinian refusal to Israel’s attempts to crush the rights of the Palestinian people to a life of liberty and freedom, including the prisoners. I would expect civil society organizations working for justice worldwide to study the Palestinian issue well, far away from the Israeli propaganda, to visit the Palestinian territories, to “experience” the occupation and its destructive consequences for the Palestinian people, in order to understand our prisoners’ strike. *referring to Yigal Amir, a Jewish citizen of Israel who assassinated Prime Minister of Israel Yitzhak Rabin. On April 17th, Palestinian Prisoners’ Day, 1500 Palestinian political prisoner launched a hunger strike. Their demands include an end to the denial of family visits, the right to pursue higher education, appropriate medical care and treatment and an end to solitary confinement and administrative detention, imprisonment without charge or trial. Rights that should be guaranteed by international humanitarian law. Of the 1,500 prisoners, four female prisoners are on hunger strike. The strikers have faced harsh repression by the prison service that includes preventing them from seeing their lawyers. The hunger strike is the last resort to ensure their rights, and entails many risks, especially as we enter the fifth week of the strike at the time of publishing, where some of the prisoners have already been, and many more will be, transferred to the Israeli Prison Service hospitals. As I said, the strike enters the fifth week, a crucial point in the struggle of the prisoners to claim their rights, so I expect the women’s groups and organizations, obligated to feminist principles of anti-oppression, resistance to restraints of freedom and striving for a just peace to support the prisoner and their families, including mothers, wives and daughters. It always is, and even more so now, crucial to call on the international community, international human rights organizations to apply pressure on the Israeli government to respond to the demands of the prisoners before it is too late. In addition, it is our in our power to carry out activities around the world to support Palestinian political prisoners. Nour Swirki is a 29 year old Palestinian journalist and feminist activist, living in occupied Palestinian territory (Gaza Strip). The hunger strike is a peaceful means used by Palestinian detainees and prisoners in Israeli prisons to put pressure on the Israeli prison administration to accept their demands, which is a human right guaranteed by international treaties on detainees and prisoners but still violated by Israel. This strike is dangerous option, because of its great risk on their lives, but there is no other option for them to pursue their rights, so as Palestinians we call it “dignity strike” because this hunger strike with its physical and psychological pain, is made ultimately to save their human dignity and improve their miserable living conditions inside Israeli prisons. The demands of this strike are just humanitarian, related to communications with their families, access to better health care services, building a regular system of fair visits, humane treatment of prisoners during their travels, responsiveness to the needs and demands of Palestinian women detainees and prisoners and allow secondary and university education from inside prisons. Prisoners also call for air conditioning, especially in desert-located prisons, reopening kitchens in prisons, allowing books, newspapers, clothing, and food entry during visits, ending the solitary confinement policy, ending the policy of administrative detention and releasing patients and disabled detainees and prisoners. At the time of writing, 1700 male Palestinian detainees and prisoners have been involved directly in the strike. 59 women out of a total of 6500 Palestinian detainees and prisoners have not been directly involved. They are participating by returning some meals daily and not taking part in activities inside prisons. Yet, their demands have been included in the demands of the strike. They did not get involved because they had no experience in prisons and political work. They are also young, ages 18 to 33 years, with girls that are 13 and 14 years old. This hunger strike lies in the notion concept of global feminist calling for freedom, justice and ensuring the human rights. As feminists, we are aware of what injustice and rights violations mean therefore feminists in this world must support the demands of hunger strike. Despite the high risks and chances of escalation and effects on the prisoner’s’ health in such strikes, the Palestinian people consider it a chance to see their sons and daughters (Palestinian detainees and prisoners) more often, to listen more to their voices, to enjoy better health care, not to spend more days, months or years in solitary confinement, and that they should not be imprisoned without any charge under the name of administrative detention. It’s an opportunity for Palestinian women detainees and prisoners to: receive appropriate health care in their private time as in the monthly cycle; receive a medical care by a specialized doctor; have better quality and quantity of food; not to be transported by male policemen, but to provide women jailers; force the occupation to respect their body privacy and not to be subjected to naked inspection; and to meet their families longer without a glass barrier. Palestinians support this hunger strike because they consider it a mean of struggle and national liberation, and world’s feminists should support it as a demand for freedom and human dignity. 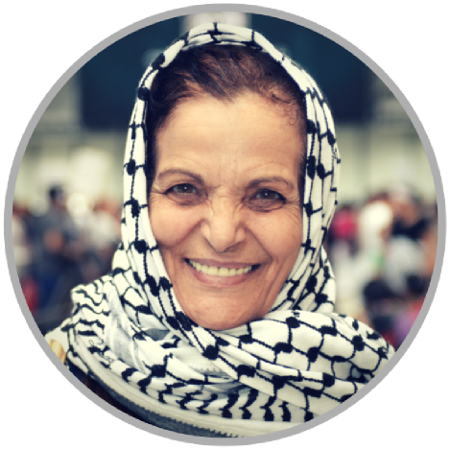 Rasmea Yousef Odeh is the associate director of the Arab American Action Network and leader of that group’s Arab Women’s Committee. She is a leading member of Chicago’s Palestinian, Arab, and Muslim communities. Rasmea is a community icon who overcame vicious torture by Israeli authorities while imprisoned in Palestine in the 1970s, and an example for the millions of Palestinians who have not given up organizing for their rights of liberation, equality, and return. I believe that the Palestinian prisoners’ hunger strike is a message filled with dignity and pain, in which they are banging on the door of the Israeli tank, declaring to the whole world to pay attention before it is too late. It’s also a call for Palestinian unity against factionalism and Israeli occupation. And a message to the entire world that the prisoners decided to take this step, despite the danger on their lives, because they exhausted all other methods of demanding their rights. There is no way back! Win, or die with dignity! This hunger strike is a component of the Palestinian people’s struggle against Israeli occupation. Feminists worldwide must learn the reality of Israel. Its forces deliberately target Palestinian women and their families, shelling them while in their homes. The military checkpoints and the apartheid wall prevent the unity of families, and keep patients from reaching health centers and hospitals. Many women have been deprived of their right to natural childbirth, forced to give birth at checkpoints in sight of Israeli soldiers. Some of these women lost their babies in childbirth. In addition, Israel is impoverishing Palestinian families, confiscating their land and water resources. Palestinian women suffer greatly as a result of these practices. The policy of demolishing homes and killing children, husbands, sisters, and brothers, depriving women of quality of life, violates women’s rights specifically, and more generally, the Fourth Geneva Convention, United Nations resolutions, and World Health Organization regulations. This is the real face of Israel. For almost 70 years, we have known nothing but violence and ethnic cleansing against my people. Many years of negotiations for a political settlement have been a huge failure, because Israel continuously demands recognition of the Jewishness of the state, which goes against all notions of equality and democracy, because it wants to liquidate all Palestinian inalienable rights, including the rights of return, self-determination, equality, and independence. Today, there are 6,300 Palestinian prisoners in Israeli jails, including 60 women, including some who are pregnant, and 156 children under 18 years of age. Palestinian and Israeli human rights organizations both report that torture is still used against them. International law demands that prisoners of war be treated humanely at all times, but that is not what happens in the prisons and detention centers of the Israeli occupation. The Israelis consider Palestinian prisoners to be criminals, and place them under horrible conditions in jails that do not provide even basic requirements to preserve human dignity. The prisoners made every effort and used all possible means to demand human rights and improvements to their living conditions, such as the extension of regular visitation rights, as well as the lifting of glass barriers between visitors and prisoners; improved medical treatment; improved food in the kitchens; an end to administration detention (imprisonment for months without formal charge); the release of child prisoners; and an end to solitary confinement. I call on all the people of the free world to stand up and support the demand of our sisters, brothers, and children. And I ask everyone to work to free all Palestinian political prisoners!